In the 18-minute extempore speech before a spontaneous gathering of millions of people, he unequivocally declared, “The people of the country shall be freed, Inshallah!" "Ebarer sangram amader muktir sangram, ebarer sangram swadhinatar sangram" (The struggle this time is for our emancipation, the struggle this time is for our independence)," the great leader of the nation affirmed. The speech Bangabandhu delivered that day was very rare in the world history. The only 18-minute extempore speech containing 1,138 words inspired people of all walks of life to prepare for a war, which eventually began after the Pakistani regime on March 25, 1971 launched the worst genocides in history on the unarmed Bangalees, which continued in the subsequent nine months. 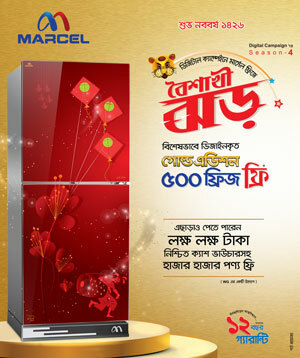 This time the day when Bangabandhu delivered the historic speech came to us with a different grandeur. 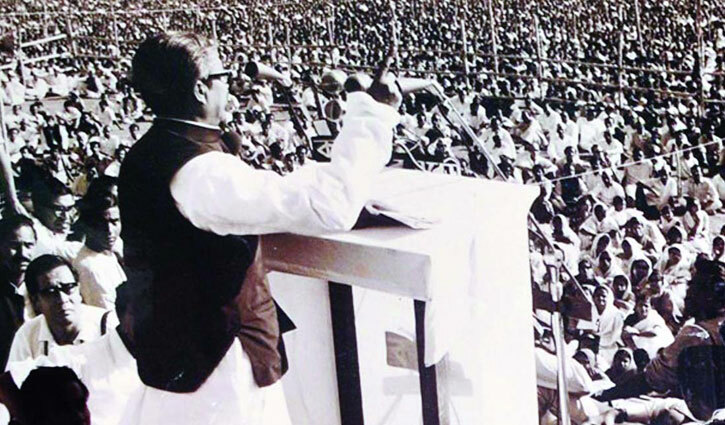 That day Bangabandhu made a fervent call to the roaring people from all walks of life to take preparations for armed struggle against the tyranny, exploitation, subjugation and deprivation by Pakistani military junta with whatever they possessed and transforming every house into a fortress. The people were overwhelmed and imbued with the spirit of this supreme speech of independence, which is said to be only comparable to the Gettysburg speech of the President of the United States, Abraham Lincoln. The whole nation responded spontaneously to Bangabandhu's call with thunderous slogan "Bir Bangalee Astra Dharo, Bangladesh Swadhin Karo" (Brave Bangalees take up arms and free Bangladesh from occupation). Bangabandhu's speech cannot be compared to any other speeches in the world. Bangabandhu's historic speech was unwritten and extempore while that of Abraham Lincoln and Martin Luther King was written. On March 7 in 1971, people from all walks of life listened to the speech with great attention and fascination and got correct direction from the speech. Citing the March 7 speech as an ‘epic’, Nirmalendu Goon described the person who delivered the speech as ‘great poet’. Analysing the March 7 speech, Newsweek, an American weekly magazine, deemed Bangabandhu Sheikh Mujibur Rahman as the ' poet of politics'. Historic March 7 and the Liberation War were deeply connected to each other. It was the Bengalee's charter of freedom. Inspired by the speech, people of all walks of life took preparations for armed struggle against the tyranny, exploitation, subjugation and deprivation by Pakistani military junta and valiantly fought against them. Total 30 lakh people were killed in just nine months in the world's worst genocide and two lakh women were raped during the War of Liberation. At the instruction of Bangabandhu, the brave nation fought successfully the War of Liberation and ultimately liberated Bangladesh from the Pakistani occupation on December 16, 1971 with the assistance of the allied Indian forces. And Bangladesh emerged as an independent state through the supreme sacrifice of its people. In fact, the outline for social, political, cultural and economic freedom lies in the historic speech. How a leader can manage the emotions of millions of people is the bright example of March 7 speech. The 7th March speech of Bangabandhu was not only a call for this nation to fight for freedom, it was rather a direction for all nations around the world. We believe March 7 has a widespread and significant role in the national life. In October of 2017, the United Nations Educational, Scientific and Cultural Organisation (UNESCO) included the March 7 speech in the Memory of the World International Register - a list of the world's important documentary heritage. This recognition has taken the country's status to a new stature in the global context. Earlier in 2014, Bangabandhu's March 7 speech was included in a book as one of the most rousing and inspirational wartime speeches in the last 2,500 years.